With only a month left for taxpayers to make voluntary disclosures about offshore assets, there's likely to be a surge in calls to the Revenue Commissioners' dedicated helpline in coming weeks. 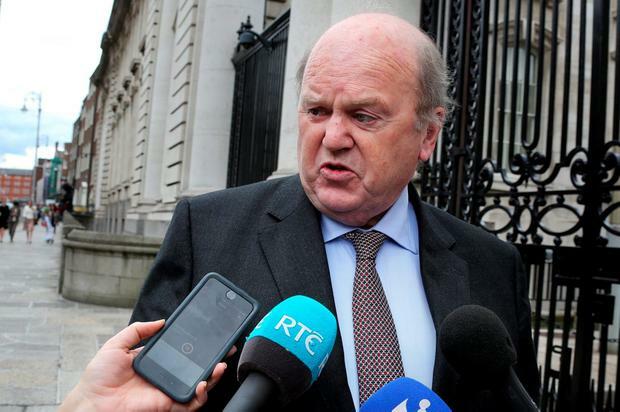 Revenue Commissioners said yesterday that about 2,000 calls have so far been made to its helpline, which was established after Finance Minister Michael Noonan announced in his October Budget that the Government was committed to weeding out taxpayers who are currently non-compliant. The campaign to encourage taxpayers to reveal undeclared or under-declared offshore assets is a final chance for people to make voluntary disclosures and receive lower penalties than they will after an April 30 deadline for coming clean. The Revenue Commissioners wrote to about 500,000 self-assessed taxpayers earlier this year, urging them to reveal any previously undisclosed offshore assets they might have. Those assets could include anything from foreign property and bank accounts, to foreign pensions. Since Mr Noonan announced the tough approach, a small number of taxpayers have already made settlements. "It is important for anyone who has a liability relating to undeclared income or assets outside Ireland to make a full disclosure to Revenue on or before 30 April," said a Revenue spokeswoman. "If the deadline is missed, the consequences are serious, and may include higher penalties, publication in the quarterly list of tax defaulters, and potential criminal prosecution." She added: "The vast majority of tax returns are correct and complete, and Revenue's letter assured taxpayers that if their returns were correct and complete then no further action was required." The Irish Tax Institute has pointed out that from later this year, the Revenue Commissioners will be able to access bank and other financial account information from more than 100 countries. The information available will include the identity of taxpayers, account balances, gross income, gross sales proceeds and account closures. The institute has pointed out that taxpayers can sometimes assume that a rental loss on an Irish property can be offset against foreign rental income in calculating their tax bill, for instance. This is not possible under Irish law, it pointed out, as Irish rental income and foreign rental income are treated as separate sources of income. Therefore, a loss arising on one cannot be offset against income arising from the other. Other interests that should be declared can include fees from foreign directorships, for instance.